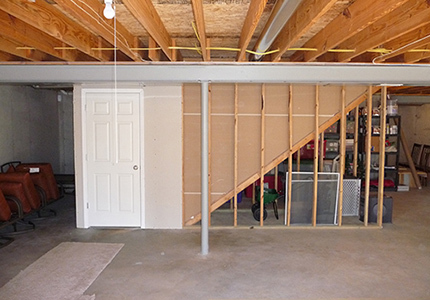 This family in O’Fallon, IL contracted Fulford Home Remodeling to expand their home using the unfished space in their basement. 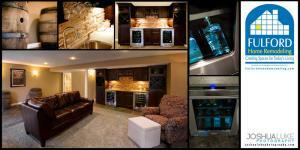 The layout of the new basement included a living area, bar, and ½ bathroom. 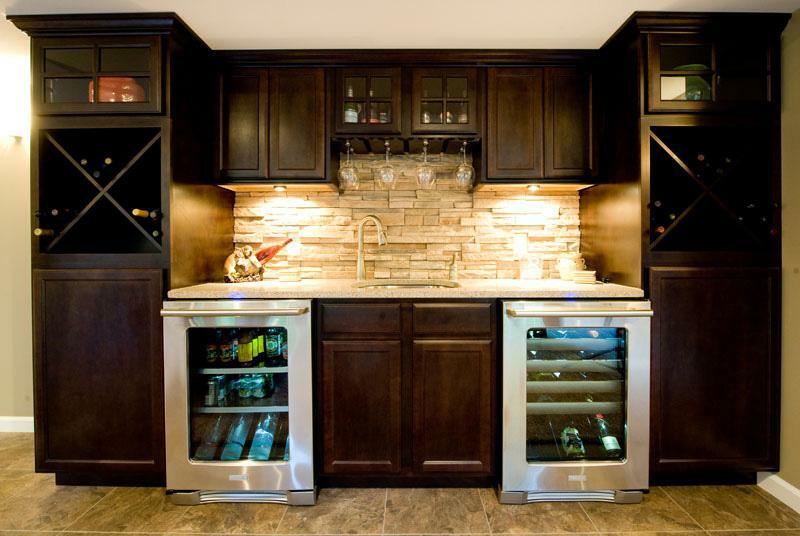 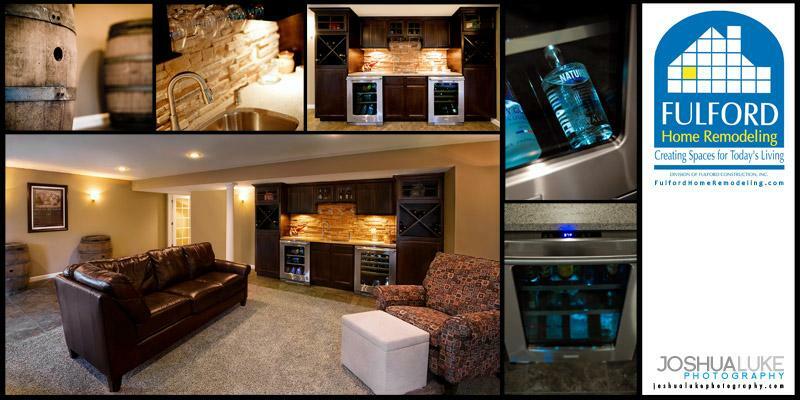 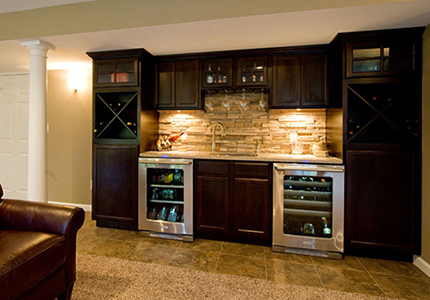 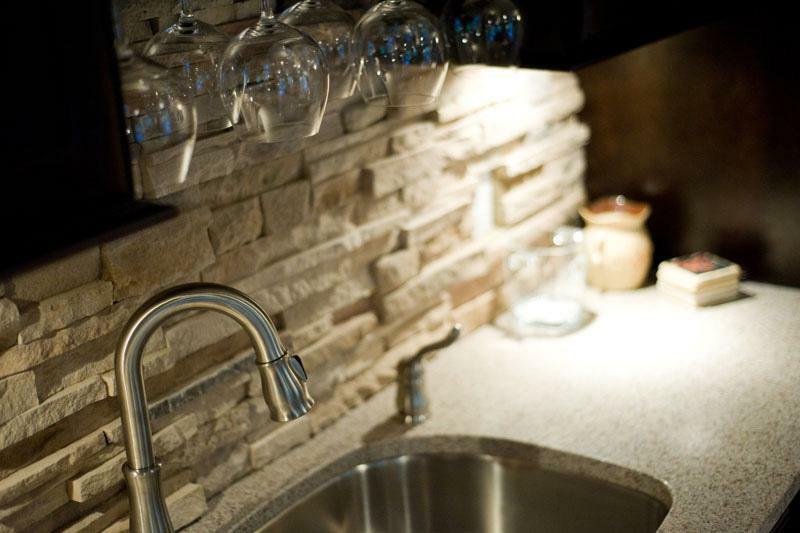 The showstopper in this basement is the bar area, with cultured stone backsplash in Pro-fit Ledgestone, Silestone countertop in Kalahari, Mid-continent cabinetry with Maple wood in an Espresso stain color, two wine holders built into the cabinetry, and two beverage/wine fridges. 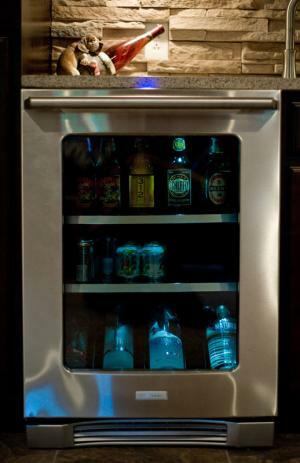 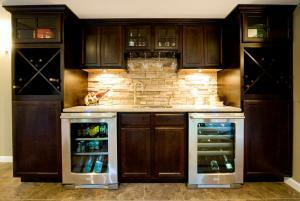 Electrical upgrades included seven recessed can lights and under- cabinet puck lights. 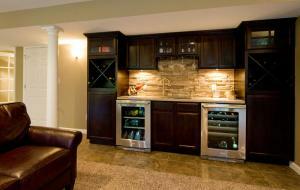 One unique aspect about the living is the use of both carpet and luxury vinyl-tile flooring. 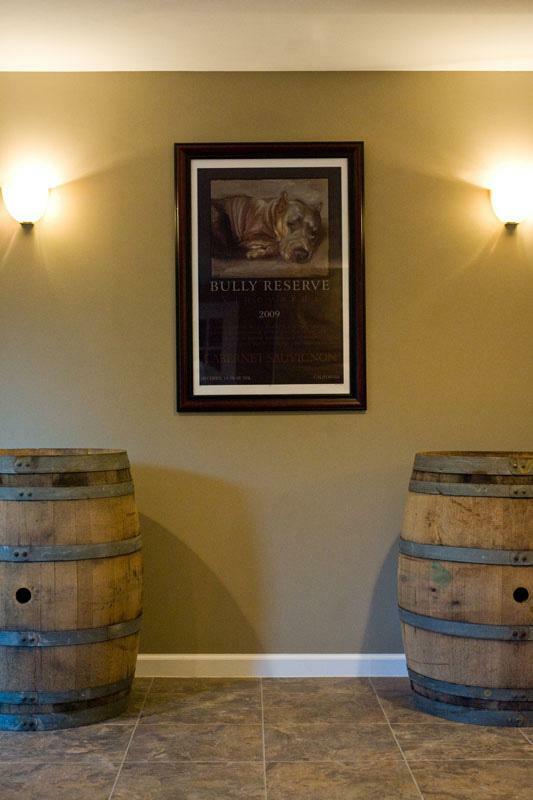 To help keep the area clean, from their two dogs and visitors drinking wine, the family wanted Alterna tile next to an exterior door and along the bar area. 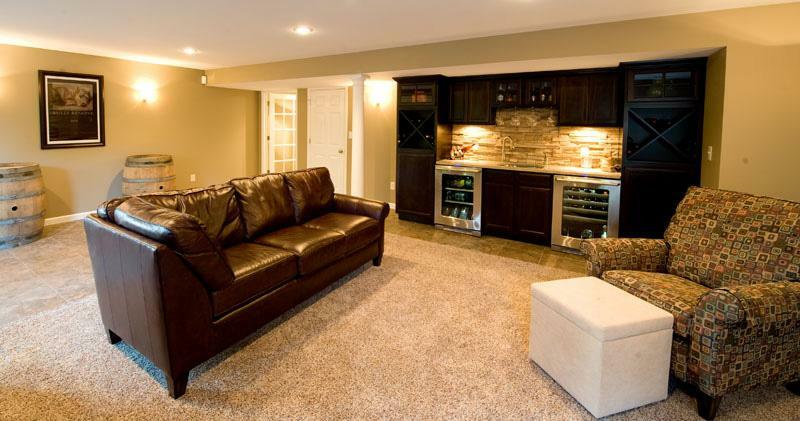 However, they didn’t want to give up plush carpet in the living area, so they choose to incorporate both into their basement design. 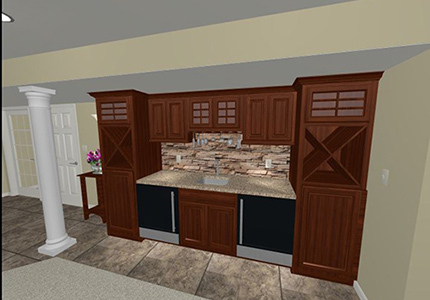 The open design, incorporating the living area and centerpiece bar, with quality detail finishes that ensured this lower level will be enjoyed by the family and all their guests for years to come.